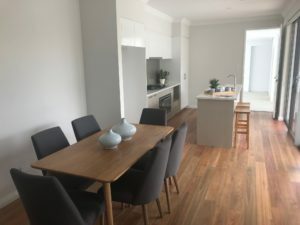 If you are relocating to Perth or the surrounding area and you will be moving into an empty house or apartment, you will be pleased to learn that we provide comprehensive domestic furniture hire packages at very competitive rates. Our furniture hire packages can be tailored to meet your needs and budget and will enable you to live comfortably in your new home while you are waiting for your belongings to be transported from your previous address. 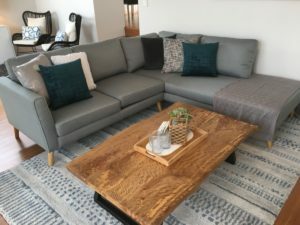 The cost of hiring furniture you need will almost certainly be less than the cost of staying in a hotel or taking on a short-term apartment rental until your own possessions are delivered, and as an added bonus, you get to enjoy your new home from the very first day that you arrive. Living Room Furniture – Sofas, armchairs, casual tables, TV stands, and everything else you might need for your living room can be included in your furniture hire package. Dining Room Furniture – We can provide you with a dining table and chairs to ensure that you have somewhere comfortable to sit when eating in your new home. 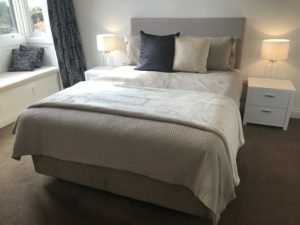 Bedroom Packages – Beds, bedside tables, freestanding wardrobes, dressing tables, and casual chairs are all available as part of our bedroom furniture packages. Study / Home Office Furniture – If you need a desk and an ergonomic chair to use when you are working from home just let us know and we will include these items in your package. Kitchen Packages – When moving into an empty house, one of the most difficult areas to cope with is the kitchen. However, this will not be a problem should you decide to take advantage of our relocation furniture hire in Perth as we can provide you not just with a kitchen table and seating but with all the appliances, utensils, crockery, cutlery and glassware you need too. Linen & Towels – We can even provide you with bed linen, along with towels for your bathrooms so there is no need to worry about buying these yourself. Lighting, Soft Furnishings, and Decorative Items – To make your new house or apartment feel like home from the first day that you move in, we can supply occasional lighting, artwork, ornaments, and soft furnishings. Electrical Items – We can supply a range of different appliances for you to use like a Fridge, Microwave, Kettle, Washing Machine, Vacuum Cleaner, Iron, and many more. We can deliver, unpack, and install all the items you need so that your new home is fit for occupation as soon as you arrive. At the end of the furniture hire period, we can also pack up and remove everything, ensuring that your home is ready for you to move in your own belongings once they are here. For more details or to request a quotation, please feel free to contact us whenever convenient.